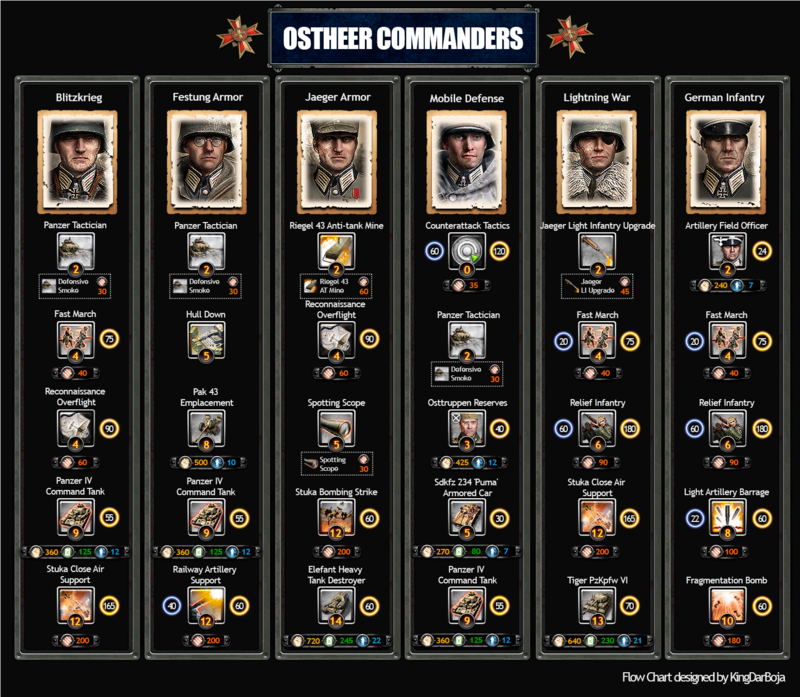 I have been playing a lot the game (coh2) and noticed most commander guides are outdated or doesn't take into account valuable information for most players (unit cost, pop, cooldown, duration, etc). 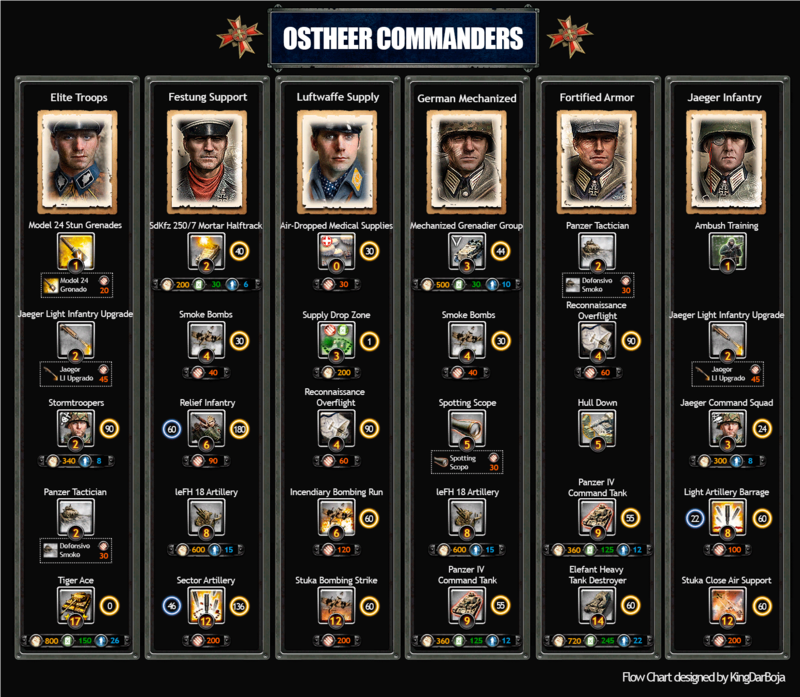 After looking at the steam guide OKW Units & Commanders Flow Charts/Tech Trees by Mithiriath, I noticed that there isn't any other guide that has an aesthetic flow chart like that guy did. 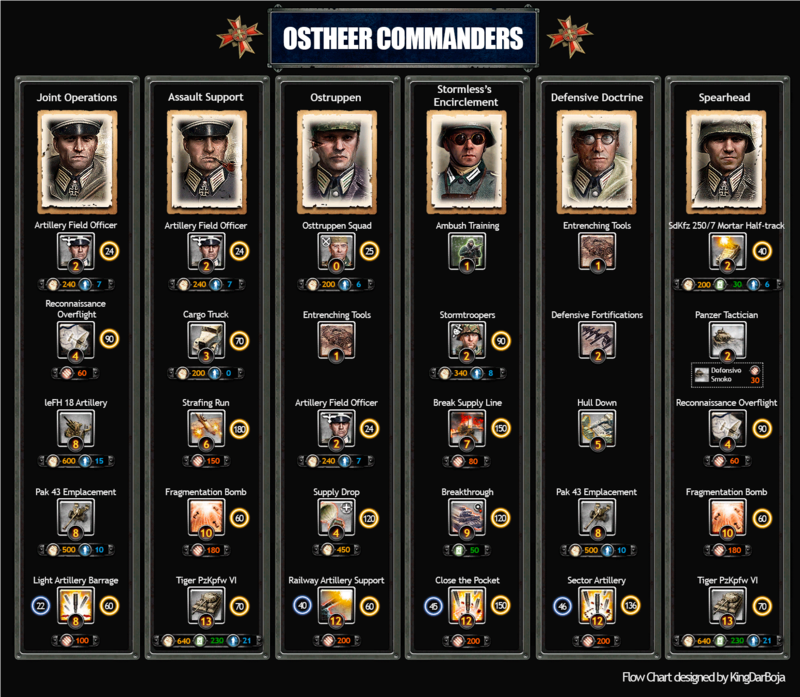 So using the modding tools provided by the game (Attribute editor and Archive Viewer), I designed my own flow chart for the Wehrmacht faction. You can see the unit/ability cost, the required command points, the cooldown (recharge time) as the gold circles at the right side of ability icon and some off-map artillery and special abilities duration time as the blue circle at its left side. Of course, it takes me atleast one day to complete another part so I will updated this topic as soon as possible. If you have a suggestion or want to make a correction to my flow chart, feel free to comment this topic. I have a excel spreadsheet with the ability info of all factions (under construction). I will make flow charts for every faction one after another.